At Manchester Carpet Cleaning, we are ​Cleansers of Carpets, Restorers of Rugs, Steamers of Stains, Upkeepers of Upholstery, Finishers of Floors. We are professionals, we are local, we are here to serve you. Our company can handle any cleaning problem you have, from small coffee stains in your vehicle’s upholstery to multi-room water damage from a broken pipe. ​Our staff is courteous, hard-working, and prompt. Call today to tell us what you need, and our we will set up an appointment right away. Our cleaners will come prepared with the right cleaning products and equipment for the job the first time so that you don’t have to waste your time with a second appointment. Our products are environmentally safe and sustainable, and we are ever conscious of hypoallergenic needs. When our staff is done, your residential or commercial space will be allergy and asthma friendly. You can feel confident that your carpets, oriental and accent rugs, and hardwood floors are safe, comfortable, and stain-free. Our steam cleaning process and our other cleaners and products are fast drying so that you can get back to using your space as quickly as possible. We offer services for residential and commercial customers alike. We can steam clean the carpets in 2 bed-room condo or we can wax the floors throughout your 20,000 square foot office space. Again, no job is too big or too small. Give us a call today to get your free quote and to see if we can meet your floor cleaning needs. Call us today to see if we can provide our services in your location and to receive a free estimate. You can also fill out the form on this page with the details of your project and a representative from our company will get back as quickly as possible. ﻿​﻿A lot of companies claim they are the best. No carpet cleaner can bestow this title on themselves, so be wary of anyone that they are superior. 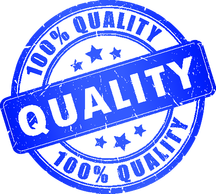 We don’t know if we are the best, but we do know that we are local, full-service, professional carpet cleaners that pride ourselves on customer satisfaction. We will put in the necessary effort to ensure that your personal project, from carpets, to rugs, to upholstery, to tile, and more, is just perfect for you. In fact, we are so confident that you’ll be satisfied with our work that we list our main competitors in the Manchester area below with their phone numbers. We want to make this process easy for you, even if that means just saving you some time from searching around the internet. Look to the right! If you find another company that can cleans your carpet, tile, or upholstery better, that’s a win for you. If you find their info from our site, we would greatly appreciate if you would let us know why you chose that company. Please call this number with your feedback. If you are looking for an honest, hard-working, and local professional carpet cleaning company, we’re glad you have found us. With years of experience, our cleaning staff will tackle any problem you have. Residential or commercial, no problem is too big. Give us a call today at (603)324-3244 to see how we can help. Mention this website and we may just give you a little bonus!